Half term looms (aaaaaargh!) so what to do with the little monsters? 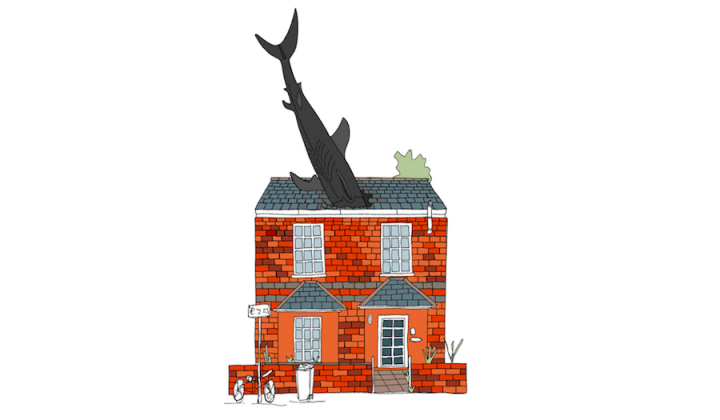 Fear not, Muddy to the rescue with the lowdown on things to do, terrifyingly ghoulish or super-cute. Nooooooo, it’s horrific!! Not Halloween you understand, I mean having three children around my ankles for a full week over half term. Still, at least I now know how to entertain the little Muddy people – and now so do you! We’ve got an abundance of fine mansions and country homes in our neck of the woods and they’re very good at pulling out all the stops at half term and Halloween. More haunted trails, pumpkin carvings and spooky surprises than you can shake a broomstick at, so here’s a few to get you started. Waddesdon Manor is hosting a week of Horrible Halloween with pumpkin carving, spooky afternoon teas, Halloween trail, fancy dress competition, culminating with the Fete Worse than Death (great name) – a two day Halloween party filled with games, stalls, live music, face painting and even light-up candy floss. Blenheim Palace has decorated its train into, you guessed it, a ghost train complete with spooky dark tunnel. The Pleasure Gardens cafe is serving pumpkin pizza (a fiendish way to get some veg into them) plus there’s spooky storytelling, fire performances and a wizard stilt walker in the Great Courtyard and lurking monsters in the maze. Until Nov 4. Venture into the Underworld at Stowe Gardens and get all high brow with Greek gods. Haddes has dragged Persephone into the underworld and a prize awaits those who save her. Tops marks to Stowe for bringing Ancient Greece to Halloween. Stonor are going for it this year with their Spooktacular Halloween. Your kids can run amok round the grounds to search for secret messages and riddles to win a prize, carve or decorate pumpkins, wear creepy fancy dress and explore the Wonder Woods adventure playground. Plus they’ve reeled in the big guns – famous Oxford ghost tour guide and storyteller, Bill Spectre, will be reading horror stories Bram Stoker’s The Judges House and The Monkey’s Paw by W W Jacobs on 24 Oct in the atmospheric Medieval Hall. If you’d rather not be scared witless on an empty stomach, come along for a pre-show soup and dessert supper (grown ups and over 10s only). 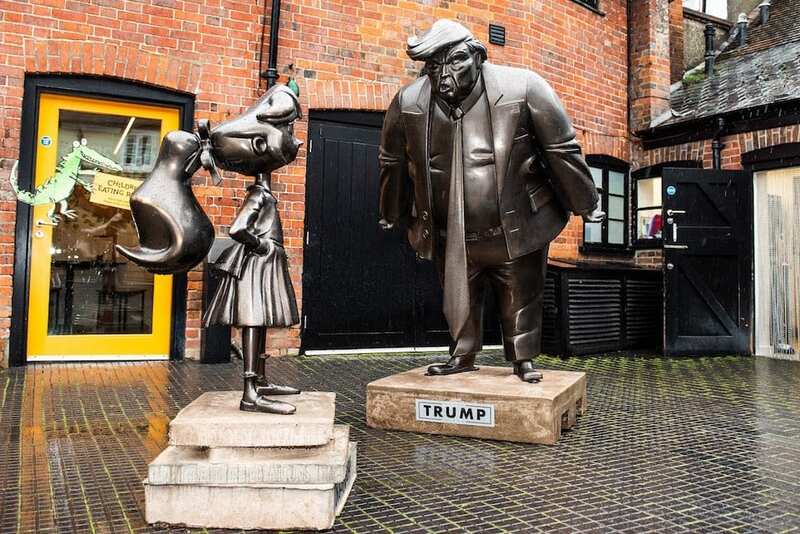 Finally opening after 6 months of renovations following a flood, this fantastic museum is celebrating with life-size statues of Matilda Wormwood standing up to Donald Trump! Part of Matilda 30 (marking 30 years since its first publication), a national public survey revealed that if Matilda could stand up to Trunchball, she could sure stand up to Trump. Check them out in the museum courtyard, they’re sooooo cool! Activities planned for half term include making a stop-frame animation, creating fridge-magnet nonsense stories, a Twits’ dinner plate, a witchy mask and a crodswoggling clay critter. PS There’s a café to hand if all this relentless creativity gets too much for you and you want to stare vacantly at your flat white for half an hour. 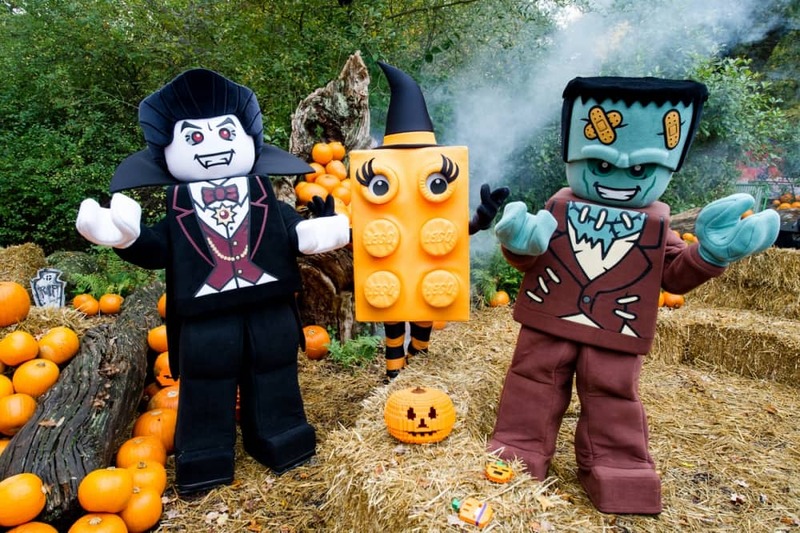 Legoland’s Brick or Treat has been going for years but new for 2018 are the Brick or Treat Halloween Trail (find the missing potion ingredients round the park to win a treat), the Spooky Hill Train plus a Halloween themed Lego Mosaic. There’s also a monster disco, rides, shows and fireworks displays with exploding lego bricks (or so it seems when you wear the special specs) on 20, 21, 26, 27 Oct and 2 Nov. Take my top tip and start at the back of the park and make your way forward – you’ll miss the most monstrous queues, trust me. My idea of utter hell, but hey, let’s mention it anyway – your teens will totally love it. 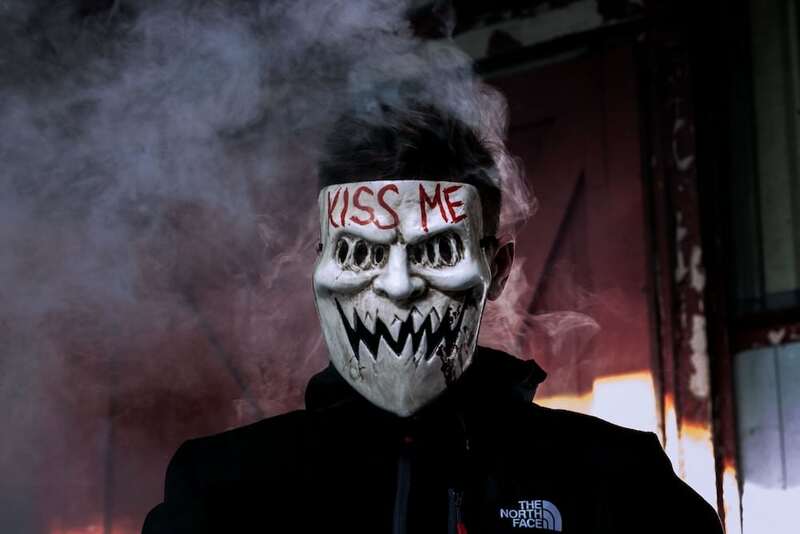 The 17th annual Fright Nights season returns to Thorpe Park with seven new intense live-action scare mazes and horror zones, including The Walking Dead: Do or Die and Vulcan Peak. Also new this year is the Screamplexx 4D, showing short indie horror films. Er, why? WHY?! Odds Farm Park won Farm Attraction of the Year last year and you can see why. There’s a great mix of indoor and outdoor play, including a water play area, animal activities like feeding and petting, and tractor and trailer rides, plus they put on special seasonal events. For Halloween half term, your kids can grab a mini wheelbarrow and choose their own pumpkin from the new Pumpkin Patch Garden, then carve it to take home. 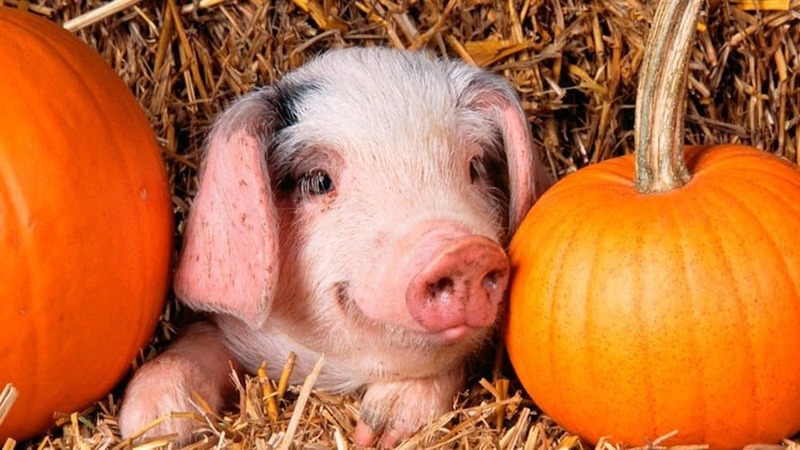 They’re putting on two fun shows The Sock of Shock, which includes a catwalk of spooky fancy dress, and Things that go Oink in the Night, with a special guest (a pig, perhaps?). There’s a whole marquee for arts and crafts and games and a Trick or Treat Trail with a few surprises. They’ve even got mini Land Rovers for any budding Jeremy Clarksons. Great for a day out with younger kids, there’s enough to keep them entertained for hours (whilst you drink your body weight in tea). 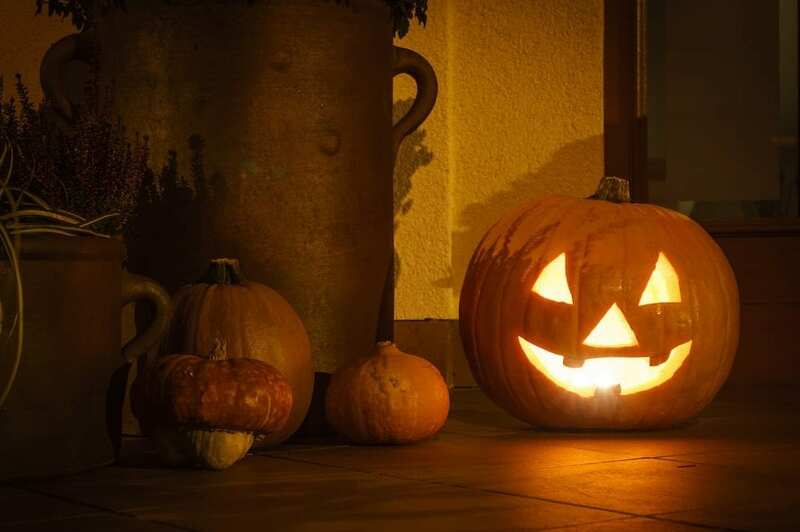 By day, Mead Open Farm, just over the border in Beds, is holding its Halloween Freaky FunFest for kids (20 – 31st Oct) with Haunted Hotel, the Shed of Dread, pumpkin carving, and ghost stories. But as nighttime falls, older teens (15 or 12 if accompanied by an adult) can freak out at the Howl Scream Park with 5 indoor horror mazes, street entertainment, live music, food and a bar. Expect special effects, obstacles, darkness, smoke, strobe lighting, live actors and the unexpected (spoiler: this doesn’t mean a hot chocolate and hygge, more’s the pity). Warwick Castle is one of the slickest family entertainment operations around and halloween is no exception. Dreadful dungeons with an escape room experience, a brand new show in The Witches Tower, Horrible Histories maze, Haunted Hallows trail and birds of prey demos, it’s no wonder The Haunted Castle will remain open until 10pm (25 – 31 Oct). There’s live entertainment on Dead Centre Stage and spectacular real-life jousting with fire – might get a bit hot if they’re wearing full armour! 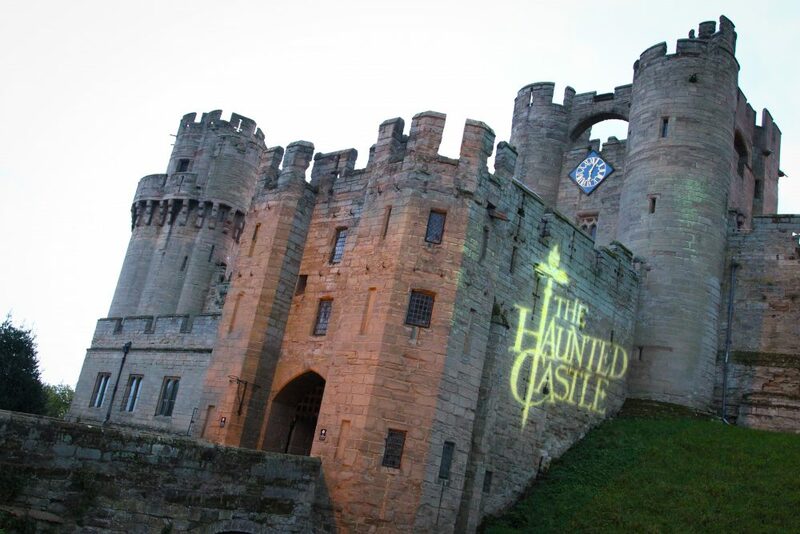 Inside the castle find the new House of Wax scare maze while maximum fear factor belongs to Séance a spectacle exclusive to Warwick Castle that uses innovative binaural spatial audio technology to share spirits’ stories of life on ‘the other side’: prepare to be petrified! The whole setting of a Medieval castle lends itself to Halloween perfectly and it’s an expensive but family-crowd-pleasing day out. If you decide it’s too much to fit in to a day, you can stay in the Knight’s Village with kids getting free entrance to the castle for 2 days. I have to be honest – I never really fell in love with Judith Kerr’s book! But clearly millions have and it’s spawned its own theatrical second life in the West End and now into Oxford. 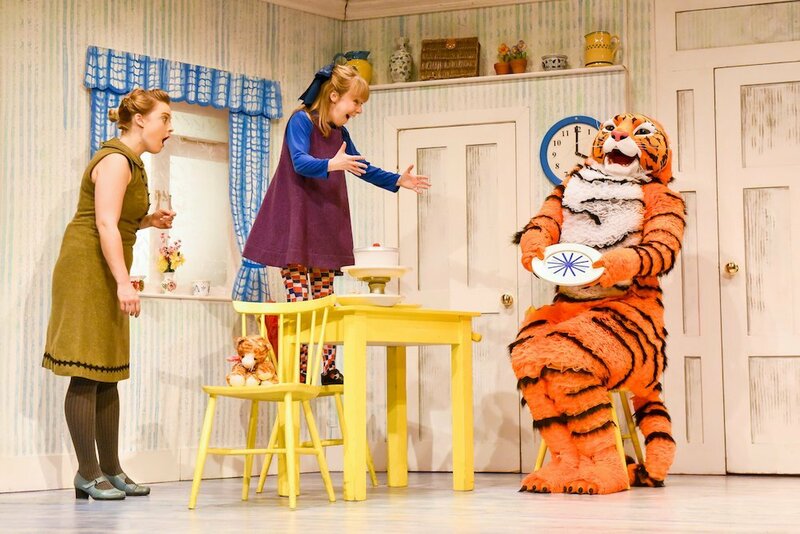 There’s a morning performance of The Tiger Who Came To Tea, followed by a private lunch with the cast and a special guest at nearby St John’s College. There’s a goody bag for every child too – just as well as this fund-raising event for The Story Museum is an eye-watering £55 per ticket! All being well, we’ll benefit in 2020 from 10 gallery and activity spaces, a theatre, a learning studio, early years play area, improved visitor facilities and a landscaped courtyard. 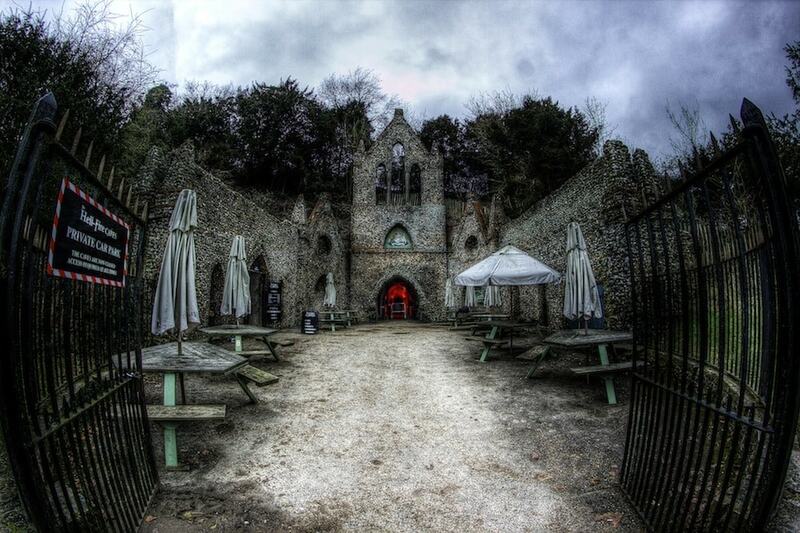 The Hellfire Caves in West Wycombe are spooky all year round but for Halloween they get a macabre makeover with a selection of props, lighting and creepy music, not to mention a number of ravaged souls who prowl the passageways. For kids, the courtyard will play host to free Halloween fun – spooky games, fancy dress competition, broomstick races, and werewolf banishing. 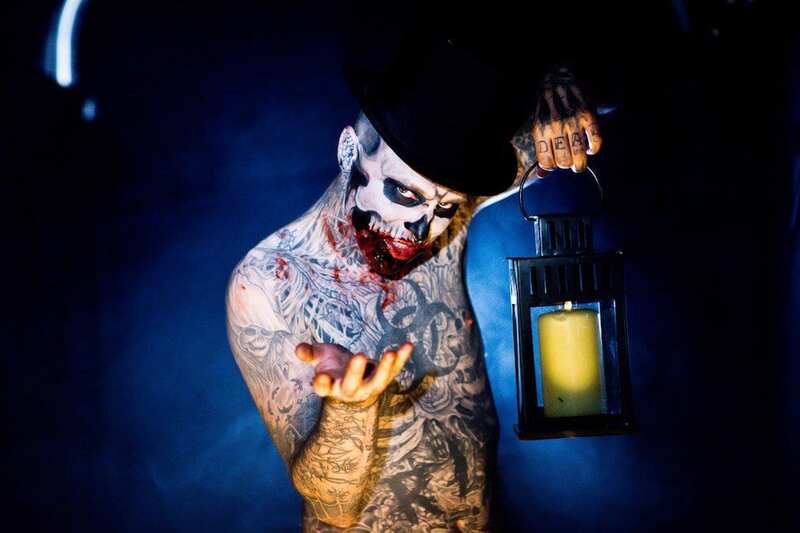 Older kids and adults can scare themselves witless on Fri 26, Sat 27 and Wed 31 Oct on one of the Fright Nights (suitable for 10+ but under 16s have to have an adult in tow) when who knows what you’ll encounter as you wander the tunnels? Wah, ha, haaaaaa! Back by popular demand, the Great Hall is decorated with over 100 floating pumpkins, as seen in Harry Potter and the Philosopher’s Stone, along with a table laden with an Halloween feast of red apples, pumpkins and cauldrons of lollipops. 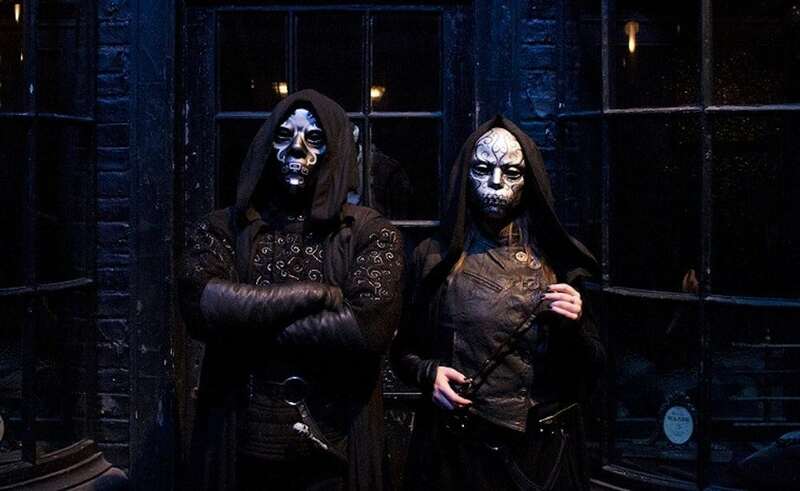 Kids can also delve into the sinister world of the Dark Arts with wand combat techniques and Death Eater duels, plus walk down a darker Diagon Alley with foreboding music. Vats of slimy Troll snot, buckets of dribbling drool of the three-headed dog variety, and pools of silvery unicorn blood will also be available to dip your hands into. Any slime fiends in your house will get to learn how it’s made (here’s hoping they don’t want to replicate it at home). 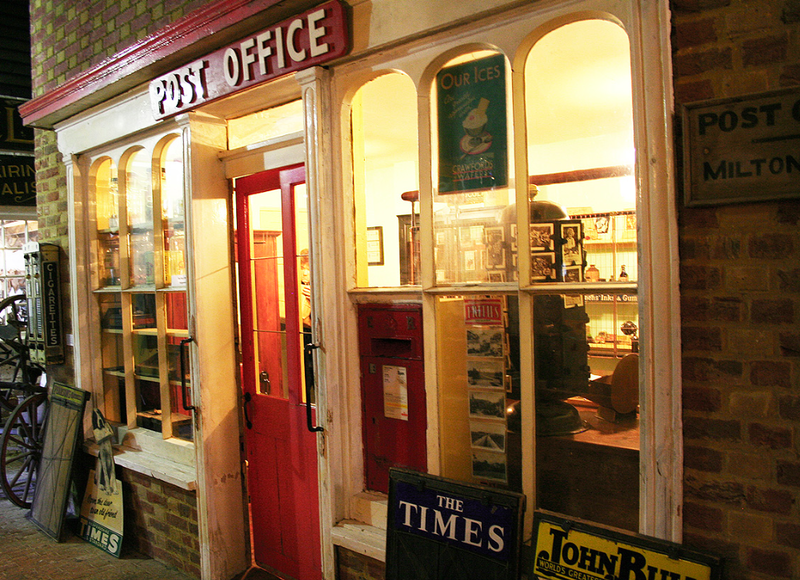 This little gem of a museum brings history to life with lots of interactive hands-on displays and life size exhibits, like the old fashioned post office in a high street of shops from days gone by (otherwise known as a trip down memory lane for granny; ok I admit it, for me too). Children can make hot buttered toast in the kitchen on a open range, play games in the parlour, visit the blacksmith, do arts and crafts activities in the Victorian school room and check out an old telephone exchange – come on, that will blow their smart phone obsessed minds! For half term, they’re putting on science shows, a pumpkin trail, lantern and bat making, and praise be, homemade cakes in the cafe. My favourite zoo hands down, if you can ignore the howling winds that whip through on inclement days. 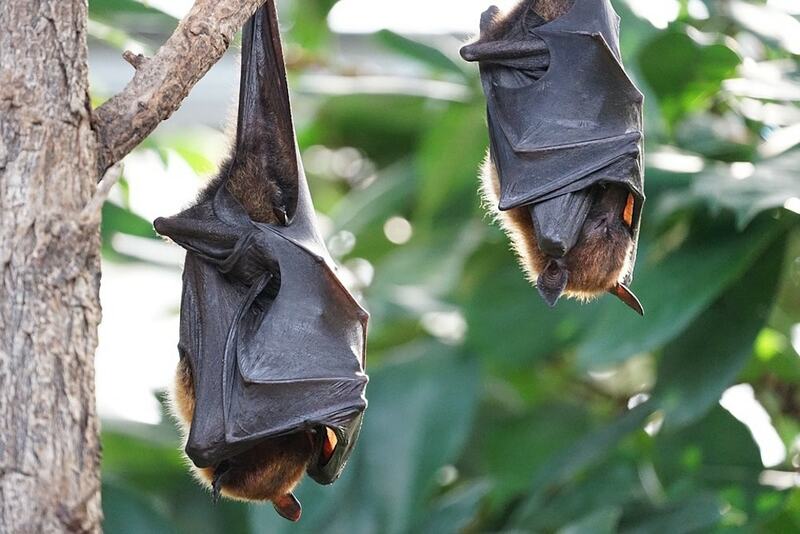 This outpost of London zoo just over the border in Beds is putting on its Boo at the Zoo this half term so as well as the usual animal viewing, feeding, demos and talks, there are Halloween-themed activities. You can carve pumpkins, have a spooky face painting, get up close to invertebrates and hear monster mythbusting animal talks. 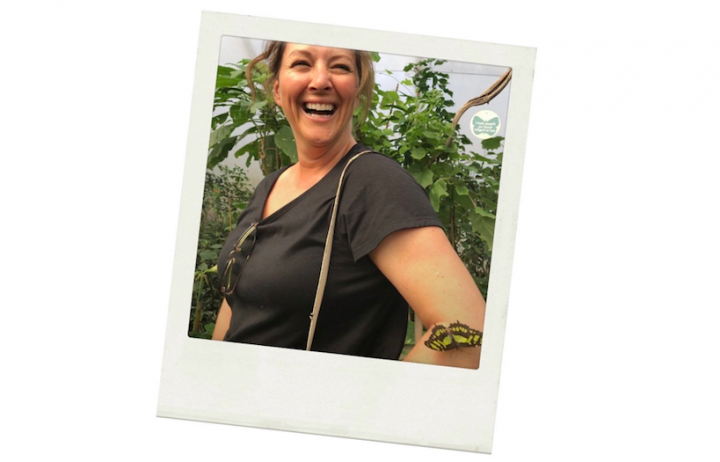 The setting of this zoo in open countryside makes for a more natural feel compared to some others and my kids go mad for the train, sea lion and exotic bird displays plus one of the biggest playgrounds in the area. If you’re sick to death of pumpkins, why not take the kids ski-ing? Snozone in the Xscape centre in MK offers private and group lessons for all abilities. 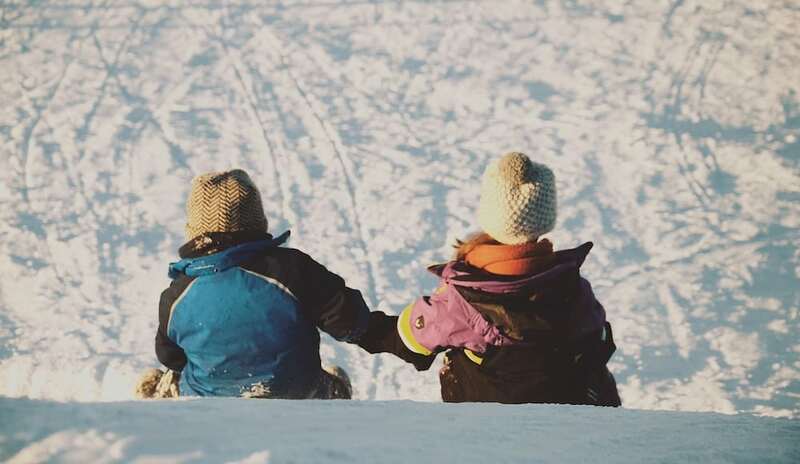 Sledging is also on offer but take note, children under 12 will need to be accompanied so if you have little ones, you’l have to abandon all hope of settling down in the Alpine Kitchen for coffee and cake. Snozone also run holiday camps so if you want to get the kids out of your hair – er, I mean, slope-ready for the family ski trip – you can book them in for a half- day (3-6 year olds), a day (7- 15) or whole week. These include a Mini-Medics first aid course for kids so they’ll be able to patch you up when a snowboarder takes you out in the Alps. Take them to an hotel for FREE! Leave all responsibilities behind and stay at a fancy hotel! Quite a few now offer free stays, and sometimes free meals, for kids in the school holidays, as long as they are sharing your room. Muddy favourite Stoke Park in Bucks is pushing the boat out for kids this half term with free meals, use of the indoor swimming pool, outdoor play area, mini football pitch, games room with Xbox, Playstation, table tennis, table football, TV and more. Over the border in Berks, what’s good enough for Meghan Markle is good enough for us – kids under 12 at Cliveden House stay free in the hols with a complimentary place at the Lords and Ladies Kids Club, use of the pools, maze, storybook play den and woodland play trail. Five star stunner The Grove in Herts (very handy for Harry Potter at the Warner Bros Studio) with 300 acres of countryside, award-winning restaurants, spa and golf lays on a week of fun-filled activities (treasure hunts, football, arts and crafts, even a spa experience) with a free stay for kids. 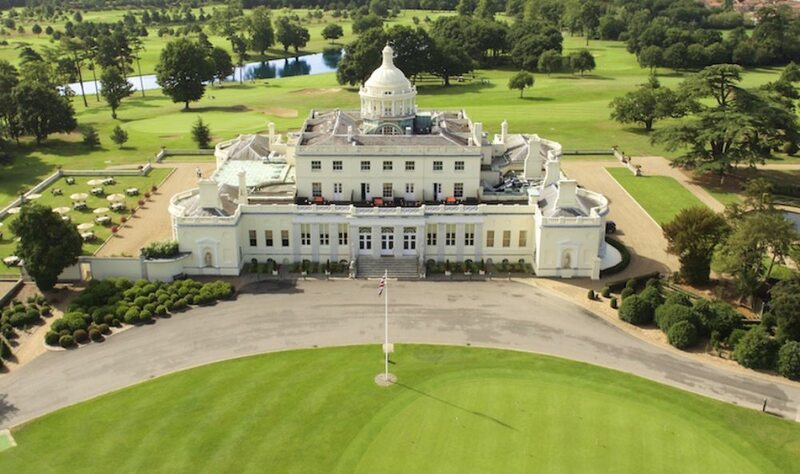 Luxurious Luton Hoo in Beds provides a free stay and free meals (including milk and cookies at bedtime) with a kids’ movie club, play room, pool, activities and goody bag. And Oxfordshire’s Eynsham Hall is free for kids to stay 20 Oct to 4 Nov and has ginormous grounds to roam, bikes to hire and a lovely pool. Plus it’s within easy reach of great day out destinations like Blenheim Palace and Cotswolds Wildlife Park. Go on, treat yourselves, you deserve it. 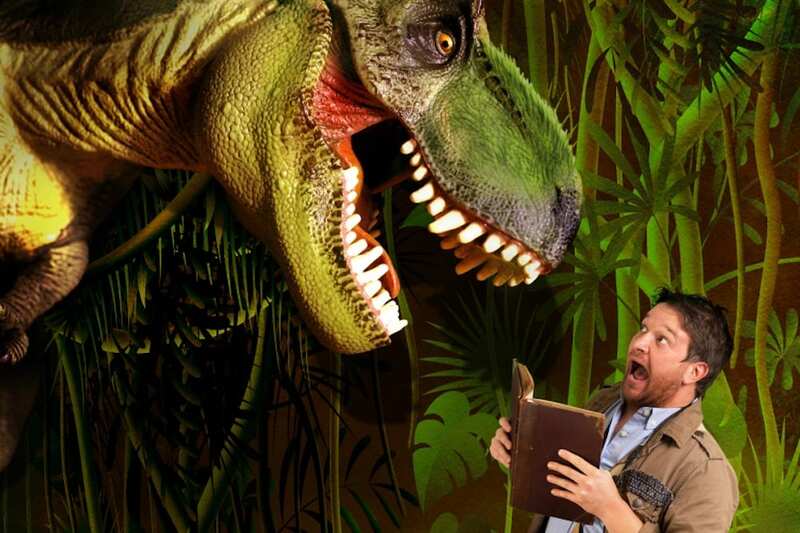 If you have dinosaur-mad kids (7+), then take them along to hear biologist, TV scientist and teaching fellow, Ben Garrod, as he travels back 66 million years. Dr Garrod presented Attenborough and the Giant Dinosaur, has had his own series on BBC 4 The Secret of Bones and regularly pops up on The One Show so he knows his onions when it comes to bones (yeah baby, mixed metaphors, so sue me!). His educational talks aren’t dry monologues – he likes to involve the audience and apparently enjoys pitting the knowledge of unwitting parents against their far more knowledgable kids. Do you know which dinosaur had ginger feathers or which cooed like a pigeon?(No? Me neither). If you want to encourage your little ones towards a career in science and palaeontology or just need to find something to fill the half term week, then this looks great fun. There’s the added bonus of being in the Natural History Museum with its skeletons and stuffed animals and the Pitt Rivers for some shrunken skulls and creepy masks. Grab yourelf a parenting A star (or should I say ‘9’?) 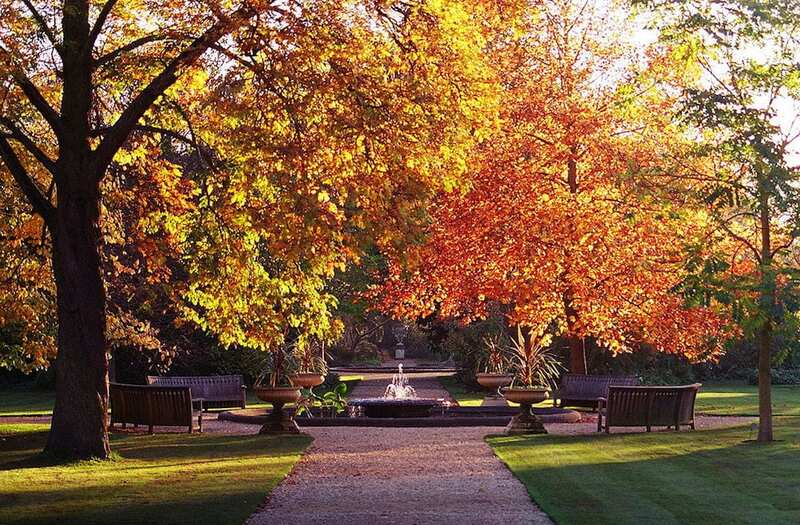 and take younger kids for some fresh air at Oxford’s beautiful botanic garden. They’re getting all arty gathering up leaves, twigs and seed pods to make patterns on paper, creating lanterns to light up the autumn nights and making pieces of tie-dye, using natural dyes. From there it’s a short stroll into town down the High Street for lunch, shopping, the museums and everything else Oxford has to offer, or a detour to Christchurch Meadows for a meander down to the river. Bored of cooking for your ungrateful children? Bung them in one of these courses and make them cook for you! (er, no, I’m not joking). Budding Chefs at Daylesford Farm get to tour the 25 acre market garden and harvest some of the ingredients before heading in to the teaching kitchen to whip them up in to some delish dishes. 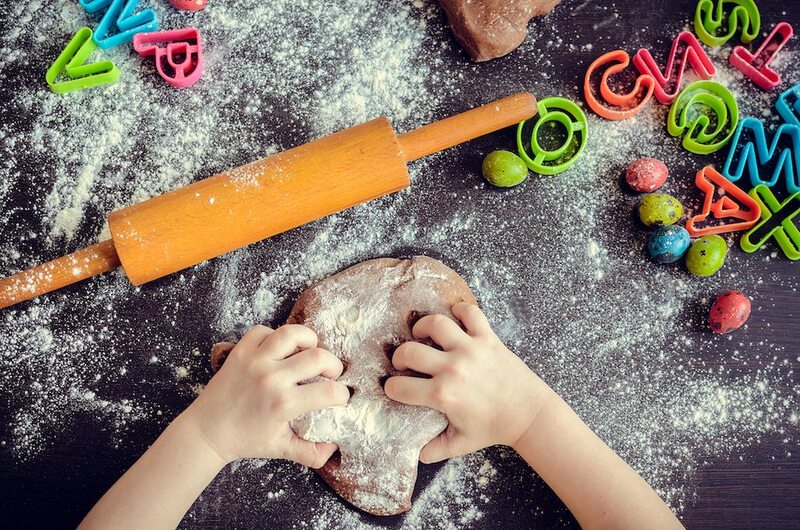 Sticky Fingers run courses throughout Bucks over half term and teach how to recognise different foods, use sharp knives safely (no throwing until the sous chef is safely attached to the wheel), follow instructions, measure accurately and to experiment with new foods and cuisines. The Inspired Gourmet Cookery School in Milton Keynes teaches about nutrition and healthy eating and aim to inspire a love of cooking in your kids. And if you really want to push the boat out, send them to The Young Chef’s Academy at The Raymond Blanc Cookery School at Le Manoir. Hopefully they won’t nosh the lot before they get home.